The company behind a multi-point, midair haptic feedback system using ultrasound to add sensation to holographic representation has just received a round of seed funding toward further development of their futuristic responsive interface design. 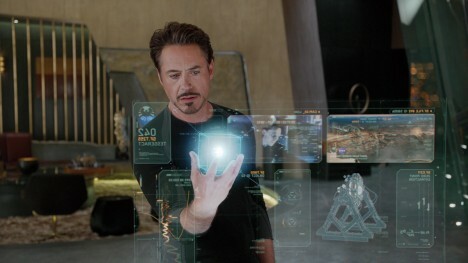 Like something straight out of Star Trek (or Iron Man or Minority Report), the ‘haptic holograms’ of UltraHaptics use sound waves to create highly-localized pressure on the skin, which, coupled with a visual display, gives physical feedback and resistance. In principle, we are already used to ‘feeling’ sound when it comes through loud speakers at a concert or movie, but this represents a much more focused version of that same phenomena, applied to virtual and augmented reality. 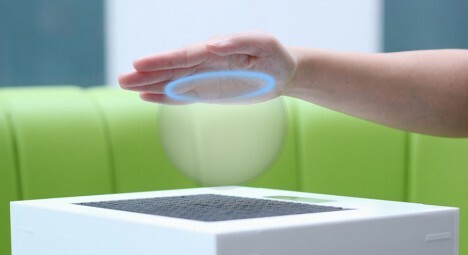 Potential applications abound, from immersive gaming to interactive virtual medical examinations – haptic feedback is also only one side of the equation: picture a holographic controller that responds to your movements as well as resisting them in realtime, letting you know the action has been acknowledged. New funding will help the company pursue further prototypes, improving precision and computing power along the way. See more in Futuristic or under Technology. April, 2015.